Vietnamese Prime Minister Nguyen Xuan Phuc received Minister of the Japanese Embassy in Vietnam Mr. Nagai Katsuro in Hanoi on November 5. Vietnamese PM highly appreciated role of Minister of the Japanese Embassy in Vietnam Mr. Nagai Katsuro in boosting the two countries' cooperation relations. At the meeting, the PM said that the relations of eternal good-neighborliness, friendship and cooperation between Vietnam and Japan have been deepened in all fields during the previous years. The two nations created step by step belief and exchange meetings between the two sides’ high- ranking delegations. 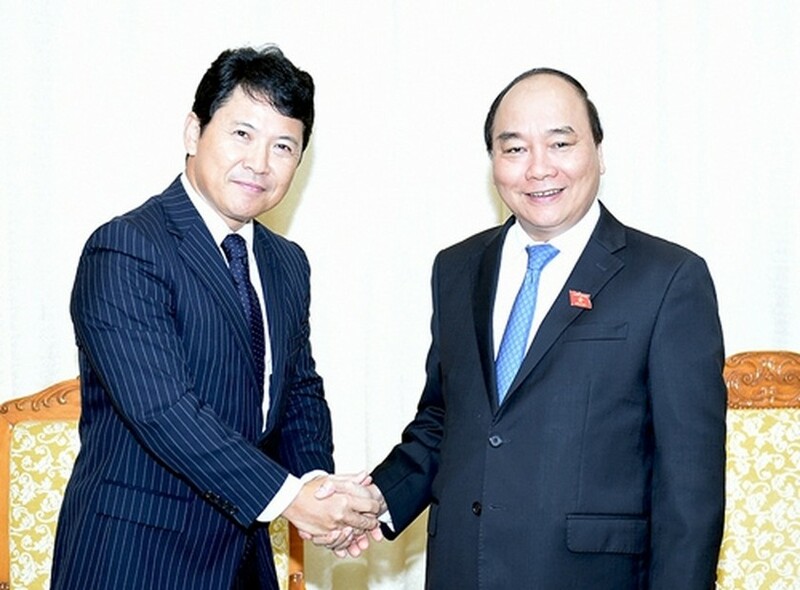 In addition, Mr. Nguyen Xuan Phuc also suggested that Japan will continue creating the best favorable conditions for the operation and development of Vietnam- Japan University to make it to be the regional biggest educational and training center, adding that Vietnam hopes to receive more and more Japanese investors in the upcoming time. Mr. Nagai Katsuro affirmed his responsibility in supporting and improving the two countries’ friendship and cooperation relations in all fields; especially being economy sector via practical cooperation projects.